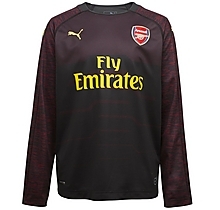 Introducing the Arsenal Kids 18/19 Purple Long Sleeved Goalkeeper Shirt. This kit is exclusively available to our younger fans. The shirt is offered in purple and white with a round neck collar and underarm mesh panels for maximum ventilation and the highly functional dryCELL technology providing moisture control to help keep them cool during exercise. 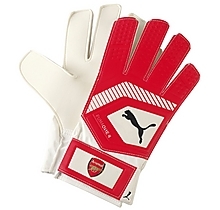 The regular fit and A-symmetrical style offers unrestricted movement when they are in front of goal.